Through a site-responsive installation “Stitch” , Saskia Jordá plays with the idea of hand stitching directly on the building, taking advantage of the serendipitous presence of the holes in the curved wall of the courtyard space at F.A.B.R.I.C. 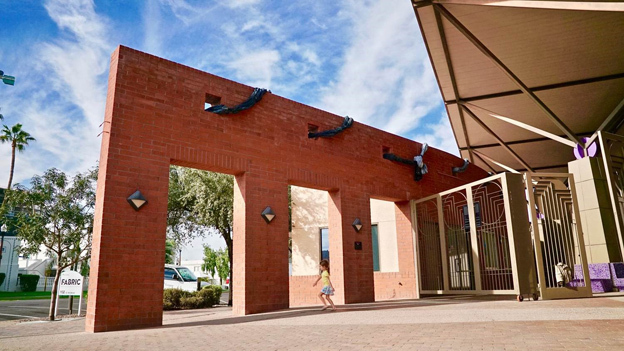 ­­– Arizona’s Fashion Headquarters. This installation takes one of the elemental characteristics of garment-making and magnifies it for the public to see. 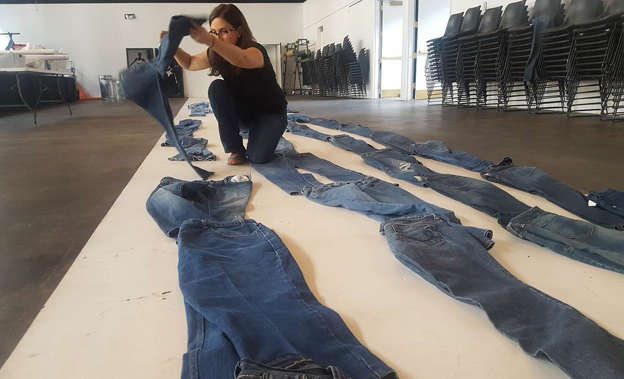 Repurposed denim jeans are employed to represent the presence of fabric in our lives as it plays a key part of our personal and social identity. We are all connected by the iconic modules of jeans, a clothing item that is seen as a unifying fashion across generations, cultures, and social status. Through its wear, a pair of jeans also tells a personal story of the activities of its owner, taking on the role of a record-keeper. This installation metaphorically speaks to the new life of the F.A.B.R.I.C. 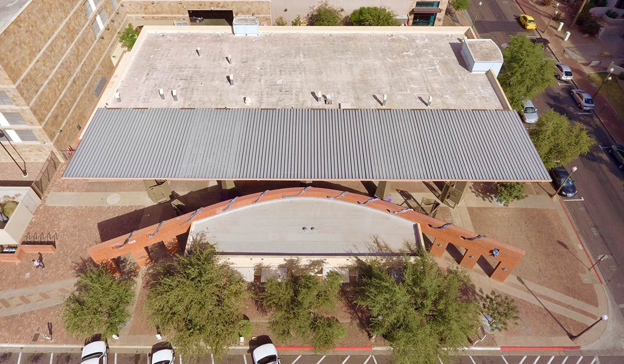 building: once a performing arts center, now transformed into a resource and laboratory for fashion innovation. 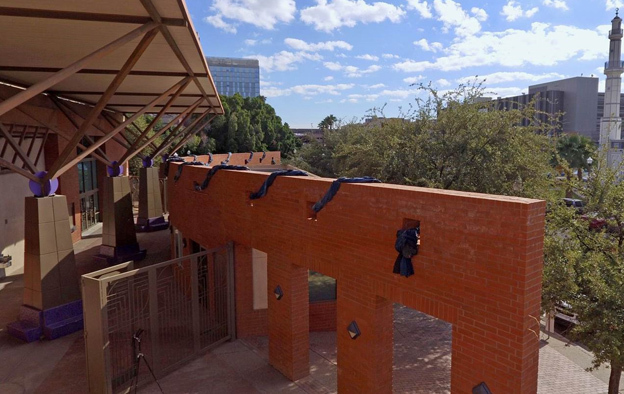 As this building gathers and serves a community of creative individuals, “Stitch” collects the jeans of many people. Jordá joins the jeans in unexpected ways by stiching them throughout the building’s brick wall. This serves as a visual expression of the space it occupies and can investigate how we think about the role that fashion may play in our lives.